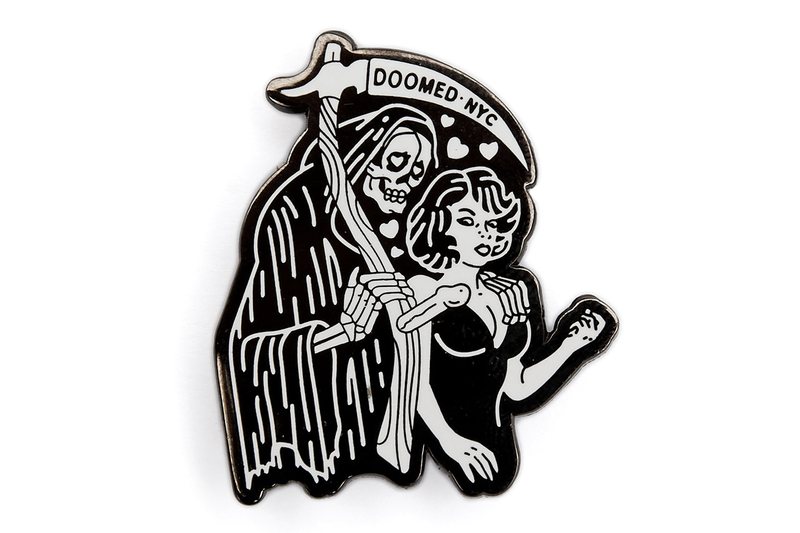 DOOMEDnyc GRIMcreeper lapel pin GRIMcreeper, what it's like to be a woman in today's society. GRIMcreeper, what it's like to be a woman in today's society. 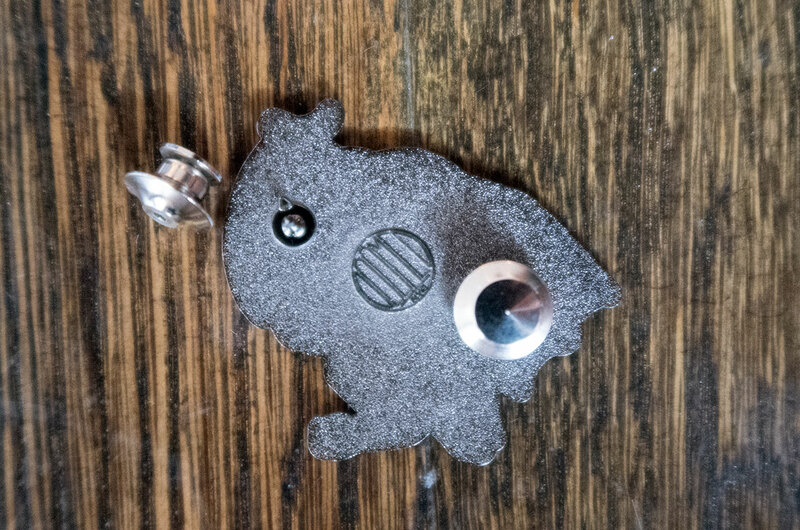 GRIMcreeper black metal with white enamel lapel pin, 1" wide, double post w/ silver locking clutch. 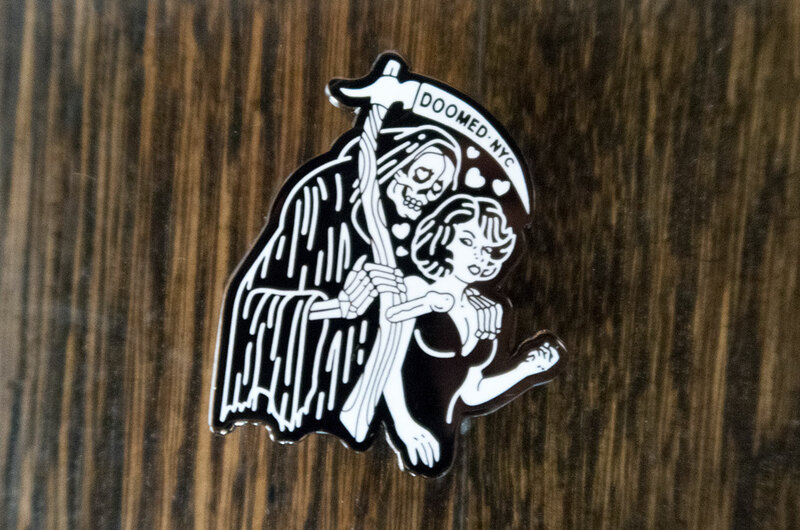 in light of the #metoo movement we wanted to create a pin that perfectly captured what it feels like to be a woman in today's society.